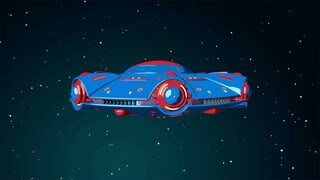 UFO ON MY NOSE,Small joke about fly swatting.2D cartoon animation.HD 1080. A small gag about violinist and his violin bow.2D cartoon animation.HD 1080. The man swallows everything on the table including table. 2D cartoon animation.HD 1080. The man takes a bath,but someone else is already in the bathtub.2D cartoon animation.HD 1080. BOMBKEEPER Small gag about football game.2D animated cartoon.HD 1080. I Know A Man Who Swallow The Fly,The man swallow the fly with his reptilian tongue.2D cartoon animation.HD 1080. WEIRD BOX,An empty box swallow the man. 2D cartoon animation.HD 1080.
PEGASUS THE WINGED HORSE 02,Mythological flying horse.2D animation.HD 1080.
PEGASUS THE WINGED HORSE,Mythological flying horse.2D animation.HD 1080. CAR REPAIRING ACCIDENT,Car swallows the man when he repairing. 2D cartoon animation.HD 1080. ANIMATED FLOCK OF BIRDS,Animated flock of birds flies at cloudy sky.2D animation.HD 1080.